Doors will open at 7:30 a.m. for lunch and networking. 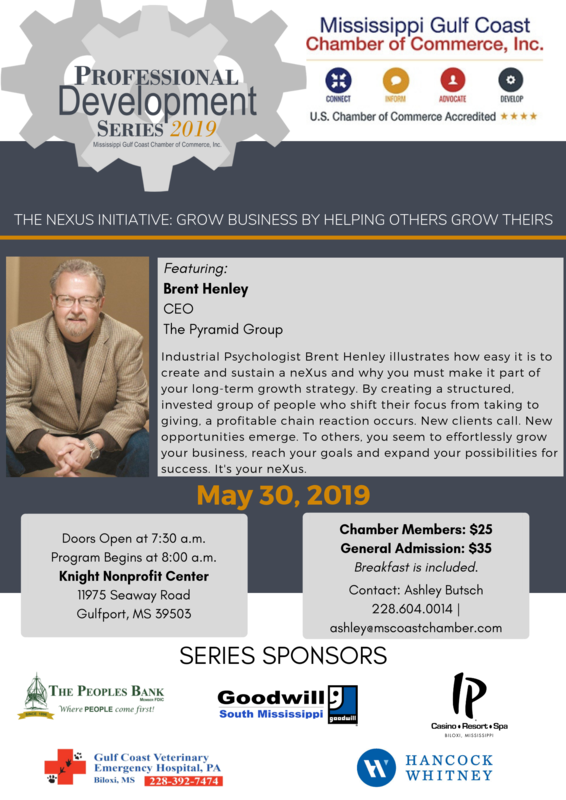 Industrial Psychologist Brent Henley illustrates how easy it is to create and sustain a neXus and why you must make it part of your long-term growth strategy. By creating a structured, invested group of people who shift their focus from taking to giving, a profitable chain reaction occurs. New clients call. New opportunities emerge. To others, you seem to effortlessly grow your business, reach your goals and expand your possibilities for success. It's your neXus.